Your horses' journey to wellness begins here. We help prevent health issues through regular wellness care. We offer various programs for mentorship and learning experiences at our hospital. 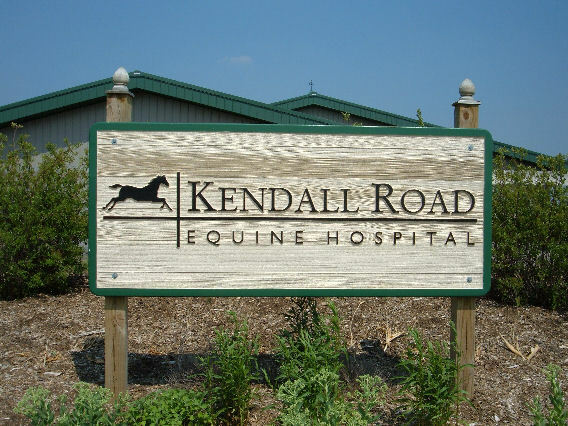 Kendall Road Equine Hospital services the Midwest as a full service and referral hospital. We provide 24 hour care for both medical and surgical emergencies. The hospital and its doctors are available to all horse owners for routine and advanced medical, surgical and diagnostic procedures. We are here to be an asset to the horse owning public by providing services and support directly to the patient or indirectly through referring veterinarians. Beautiful facility opened January 2004. Emergency care 24 hours a day 365 days a year. Surgical Suite for both emergency and elective surgeries. Conveniently located in Elgin, Illinois. Near Route 47, between I-88 and I-90.